Oklahoma Gov. Kevin Stitt signed his first bill Wednesday afternoon: House Bill 2597, which will let Oklahomans carry guns without a permit. "As I traveled all over the state, to all 77 counties, I heard from Oklahomans all over that they wanted us to protect their right to bear arms," Stitt said. The full Senate approved HB2597 on a 40–6 vote earlier Wednesday afternoon. It does not apply only to handguns. "You will be able to carry any type of firearm as long as it’s in some type of a holster or a sling. You cannot brandish a long firearm," said Sen. Kim David in response to a question on the Senate floor. David said passing the bill is a matter of giving Oklahomans the same rights as visitors from permitless carry states Oklahoma has reciprocity agreements with. Starting Nov. 1, Oklahomans will not have to get a gun permit or go through mandated training before carrying a gun openly or concealed in public. David said she grew up with guns and is not impressed by the training. "I mean, I’m sorry, it was just kind of a joke to me, because — and maybe it was because I knew how to handle a weapon anyway — but it was like, ‘Seriously? You’re going to give me four hours of classroom training on what the law is, and all I have to do is go out, show you that I can load my gun and hit a target and I’m good?’" David said. HB2597 also changes how gun owners interact with law enforcement. Sen. Mary Boren pointed out the bill says someone in possession of a gun does not have to tell an officer unless they are asked, information state law used to require up front during a stop. "This bill puts upon law enforcement new training obligations, a new standard that they have to interact with gun owners, and this is something that I personally and also in my capacity as a senator for Senate District 16 cannot support, to make law enforcement’s job harder," Boren said. "Their job is hard enough already, to take away a tool that they have trained on and have used." 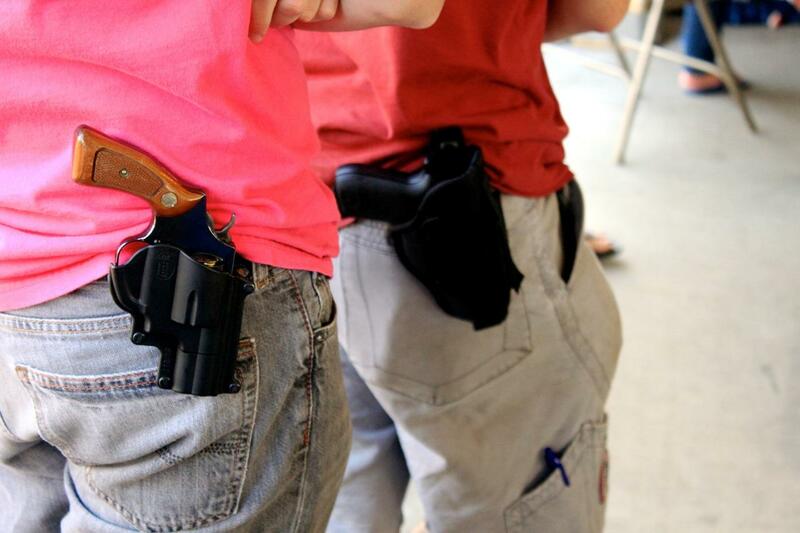 The change to permitless carry is expected to cost the Oklahoma State Bureau of Investigation, which handles licensing under the Oklahoma Self-Defense Act, around $5 million a year in revenue.